Albany New York Performing Arts - Find Theatre, Music & More In The Capital District! Looking for local performing arts venues? The Capital Region is filled with wonderful performing arts centers, perfect for live music & entertainment! 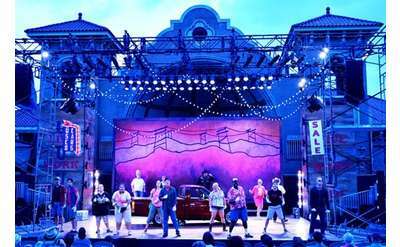 See concerts, comedy shows, Off-Broadway musicals and plays, and live musicians. Find carefully restored theaters in Albany and Schenectady NY, one-of-a-kind venues in the heart of the city, and even an outdoor amphitheatre less than a half hour from Albany. 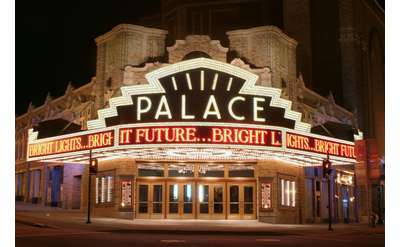 The Palace Theatre is one very notable cornerstone in Albany's growing downtown entertainment destinations. A concert & theatrical entertainment facility in the heart of Albany, New York, it first opened its doors in October 1931. The Linda works to advance the arts and support the community. They have provided a public space for art and cultural expression and is constantly evolving to meet the needs and desires of its audience and community. 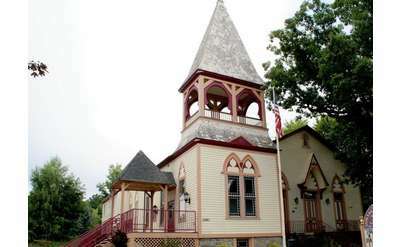 The Park Playhouse provides professional plays and musicals to the public, and arts education programs to young people in the Capital Region. With free and affordable admission to productions, they make theater an accessible art form for everyone. Enjoy an intimate theater experience at The Theater Barn in New Lebanon -- performing an eclectic mix of popular plays, melodious musicals & other outstanding productions! A multi-purpose facility with an adaptable seating capacity of 6,000 to 17,500. The Arena host a variety of events including concerts, family shows, sporting contest and trade shows. Cohoes Music Hall, on the National Register of Historic Places, is a unique venue to see shows, movies, and more. Go skiing, snowboarding, or enjoy other winter fun at Stratton Mountain. Located in Vermont, Stratton is renowned for their snow and grooming, fast lifts, and outstanding blend of terrain and trails for skiers and snowboarders of all skill levels. Capital Repertory Theatre (theREP) is Albany's first and only professional resident theatre. With a wide variety of well-known and world premiere musicals and plays, it's safe to say what you experience at theREP cannot be duplicated anywhere else! What began as a Vaudeville theatre in the early 20th century is now the Capital Region's destination for major Broadway shows, cutting-edge film festivals, exciting special events, and everything in between. The Glimmerglass Festival presents new and innovative productions of opera and musical theater every summer in Cooperstown, New York.